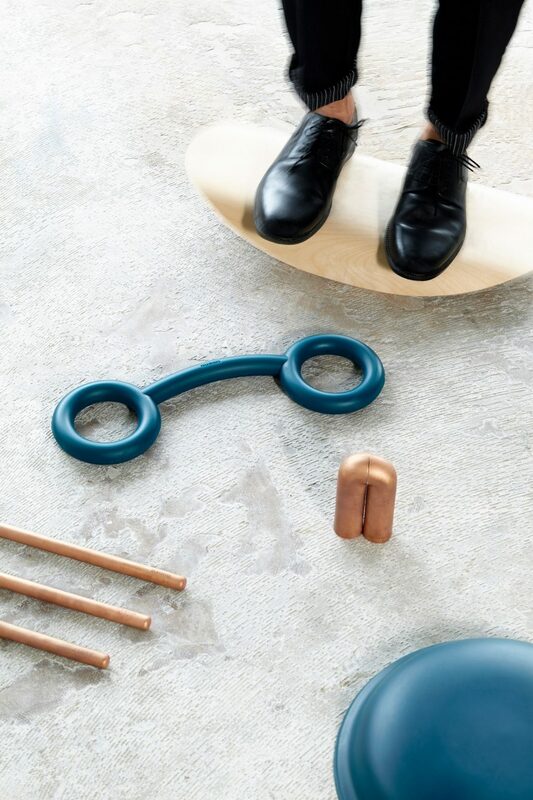 Design Academy Eindhoven graduate Mirjam de Bruijn has designed a series of decorative objects that can all be used to improve posture while working. 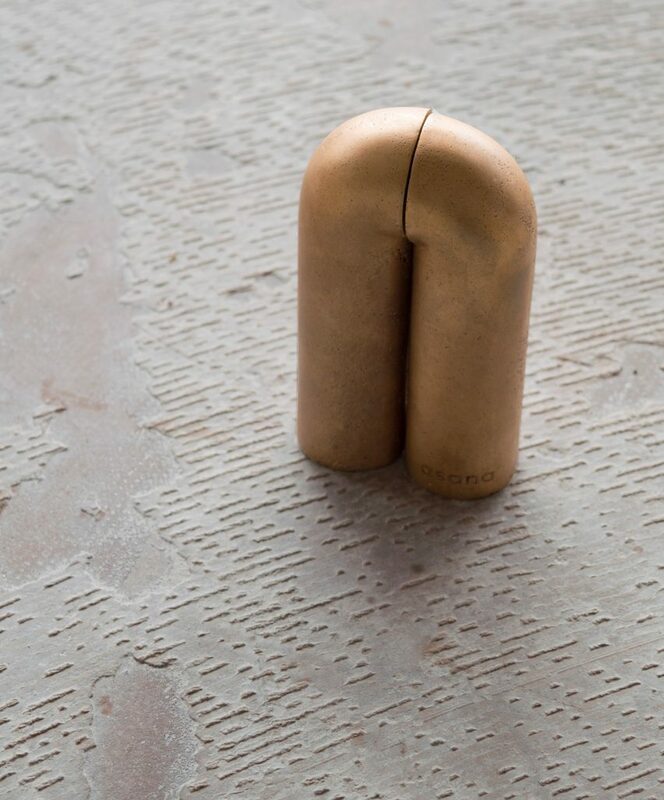 Called Asana, the collection is made up of five different designs, each intended to stimulate the body in different ways. De Bruijn developed the products after discovering that, despite the growing popularity of flexible offices and co-working spaces, nothing was being done to address the health issues brought on by working in these environments. “The furniture is often not made for the office and cannot be adjusted to one’s measurements,” explained the designer. 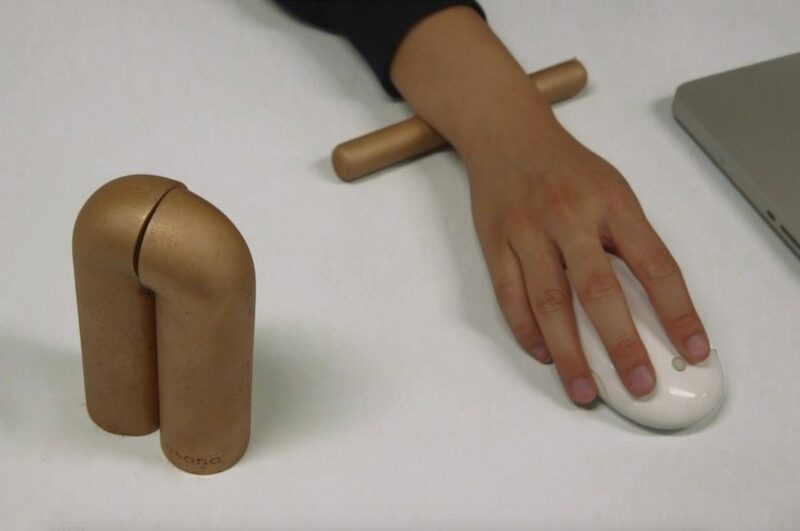 The objects include a rounded stick that can be rolled under the wrist while typing, a set of twin weights for stretching wrist muscles, and rubber cushion that is placed on top of a standard stool. There is also a wooden foot rest that moves from side to side, and a large rubber band that can be used to stretch out arm muscles. “The series of tools improves posture, strengthens muscles and stimulates blood flow,” the designer explained. All five objects adhere to a gold and blue colour scheme – the designer was keen for them to look more like minimalist ornaments than medical equipment. 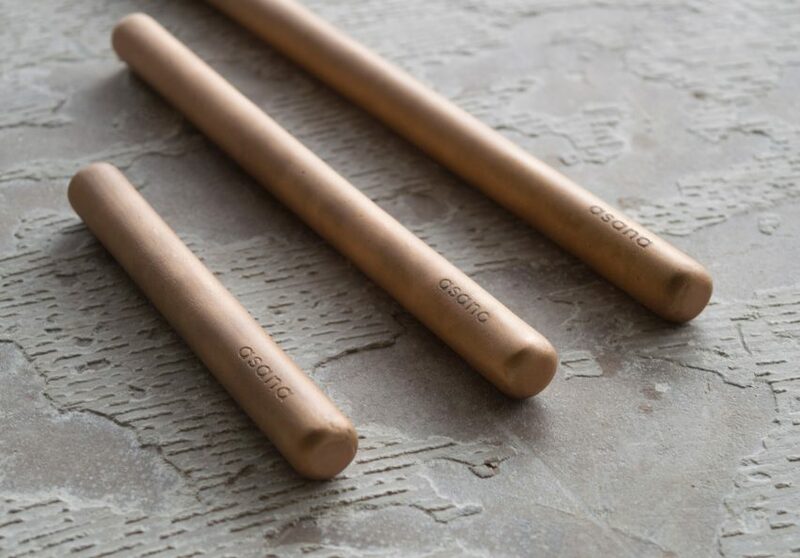 “The tools are designed to look inviting and in tune with a modern aesthetic, as opposed to current offerings, which are more like medical aids than something you want to be seen using,” added De Bruijn. The designer showcased her designs at the Design Academy Eindhoven graduate show, held as part of Dutch Design Week 2017. As well as Asana, she also presented a project called Twenty, where she condensed detergent, dish soap and shampoo into solid capsules that are activated by water. Also at Dutch Design Week, Dezeen hosted a talk series called Good Design for a Bad World, which looked at whether designers can make a difference on global issues such as climate change and pollution.